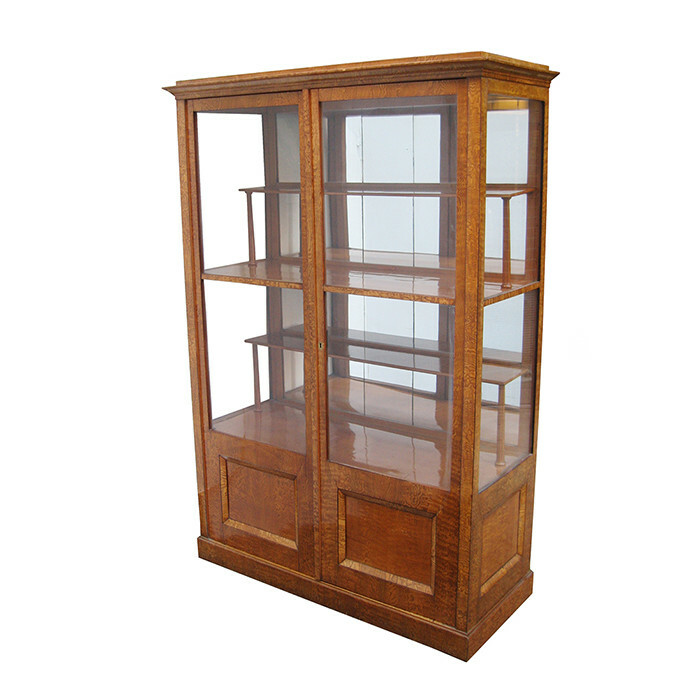 An Early Biedermeier two-door vitrine. Ashwood.with fruitwood inlay. With antique glass. Two wider and two narrower shelves. Mirrored back wall. Dimensions: H:68¼ W: 46 ½ D:20 Inches.